36 Volumes + NABRE. Comprehensive and understandable, the New Collegeville Bible Commentary brings expert insight into the Old and New Testament to Bible study participants, teachers, students, preachers, and all readers of the Bible. Filled with fresh scholarship, the series provides vital background that helps bring the text alive. Comprehensive and understandable, the New Collegeville Bible Commentary brings expert insight into the Old and New Testament to Bible study participants, teachers, students, preachers, and all readers of the Bible. Filled with fresh scholarship, the series provides vital background that helps bring the text alive. This is a fine series that will be a great help to the Catholic community and deserves to have a long shelf life. This New Collegeville Commentary will encourage an informed and responsible Christian community in every parish. Also available: New Collegeville Bible Commentary - Old Testament + NABRE, New Collegeville Bible Commentary - New Testament + NABRE (both included in this product), and New Collegeville Bible Commentary - 36 Volumes (no NABRE). The NABRE is a formal equivalent translation of Sacred Scripture, sponsored by the Confraternity of Christian Doctrine, using the best manuscripts available. Work on most books of the Old Testament by forty revisers and a board of eight editors began in 1994 and was completed in 2001. The 1991 revision of the Psalter, the work of thirty revisers and six editors, was further revised by seven revisers and two editors between 2009 and 2010. Work on the New Testament, begun in 1978 and completed in 1986, was the work of thirteen revisers and five editors. The book of Deuteronomy forms the foundation for much of the Old and New Testaments. It provides an overview of the exodus experience, reminding the Israelites that the Lord is the one who formed them, brought them out of Egypt, and provided them with the Promised Land. 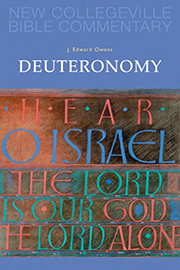 In this commentary J. Edward Owens highlights the key motifs and themes in this book of instruction: land, the theologies of love, remembering/forgetting, time, retribution, the Divine Name, the Lord as warrior, the Ten Commandments, and the great Shema. Through the story of the Israelites, Deuteronomy reminds us that we are a communal people who are called to remember always the love of the Lord. The books of Joshua and Judges provide religious perspective on Israel’s successes and failures from the time that Joshua begins to lead the Israelites after Moses’ death until the rise of the monarchy. The stories of these two books show the God of Israel still guiding the life of his people. During the span of the 150 years covered in Judges, considerable importance is attached to the religious and political development of the tribal life of the Israelites. This is well before the time of national unity; in Judges, the people are bound together solely by their faith in YHWH. 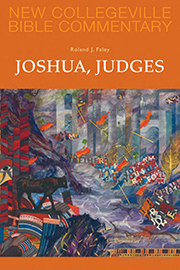 In this rich and insight-filled commentary, Roland Faley draws out the Deuteronomistic thesis in Joshua and Judges: A people of faith, even if they wander, cannot fail. 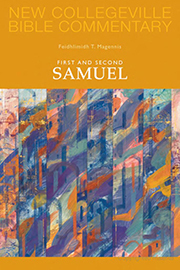 First and Second Samuel tell the story of the beginnings of monarchy in ancient Israel. These two powerful narratives present many great figures of biblical history—Samuel, Saul, and David—and explore the complex interaction of historical developments and human fidelity under God. In the books of Samuel, characters interact to influence and persuade, to express motivation and desire, and to shape the reader’s understanding of the issues that faced the Israelites as they responded to God’s invitation to covenant. Through the medium of story, the reader shares in the perennial struggle to discover, in the midst of personal and political conflict, God's ways for humanity. The books of Kings, though in real ways foreign to the twenty-first century, contain content that resonates with our contemporary experience. They raise an array of questions: In the relationships between and among individuals and between and among nations, what constitutes loyalty? What behaviors exact justice? What are the demands of being in a covenant relationship with God? What does it mean to be faithful to that relationship? What risks are we willing to take? How do we pray? Where do we look for the power of God? The insights gleaned from engaging these questions can shed a unique light on our contemporary lives. In the era in which the Chronicler writes, the pressing question is: How will Judeans reestablish themselves after the Babylonian exile? The Chronicler’s answer is to encourage the people of Israel to live out of their memory of God’s mercy and compassion. Knowing and cherishing the books of Samuel and Kings, the writer interprets their message differently because the people of his era face new challenges to their life and faith. 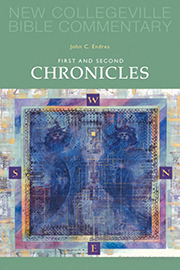 This commentary highlights the special character of First and Second Chronicles by pointing out subtle ways in which the Chronicler changes the story of Israel. Many of these slight changes in wording reflect theological shifts in the postexilic era. The Chronicler sees a need for a strong spiritual center that is clearly located in the Jerusalem temple and its life of worship and prayer. Alienated northern tribes may enter this religious world by participating in temple worship. New and original materials describe the services and the roles of Levites and priests at the temple. Kings foster worship and demonstrate a spirituality of repentance. Israel can again become a people united if all join together in worship. To the discouraged, this history offers hope! The books of Ezra and Nehemiah relate the return of the Jewish exiles from Babylon during the rule of the early Persian kings. For a long time, interpretations of these two books by Christian exegetes characterized the Judaism of the post-exilic age as narrow and nationalistic. This interpretation led to a separation of post-exilic Judaism from its pre-exilic Israelite roots that allowed for a supersessionist reading of the Old Testament based on perceived deficiencies in the religious views of the post-exilic era. 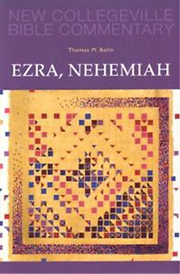 Informed by recent advances in our knowledge of the Persian Empire, this commentary, demonstrates that Ezra and Nehemiah offer a compelling story of a people’s attempt to reassemble the fragments of their heritage as they face the future in a greatly changed world. 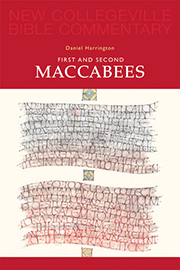 These accounts of the Maccabean revolt, by which the sons of Mattathias reclaimed the temple of Jerusalem, tell an important story of the founding of the Jewish people. "The Hammerers" is the meaning of the nickname "Maccabees," given to Mattathias's sons, who lived in a time of revolution. Empires struggled for control of Greece, Egypt, and Asia, and the small population of Jews tried to preserve their claim to Judea. The five brothers also made heroic contributions to the practice of Judaism. Their rededication of the temple establishes the annual celebration of Hanukkah, and the martyr stories in Second Maccabees emphasize faithfulness to the law of Moses. The book of Isaiah uses both prose and poetry to engage readers in a drama of great emotion and intensity. 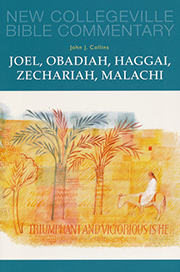 Although the circumstances under which this book took its present form remain in scholarly dispute, this commentary highlights its larger purpose—to provide the people of Judah and Jerusalem with hope for the future and the will to re-embrace their ancestral religious traditions. Leslie Hoppe assumes the composite character of the books and approaches the work as a whole with its own literary and theological integrity. 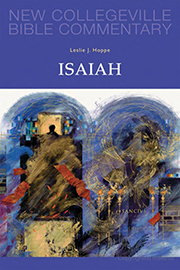 Unlike many other contemporary commentaries on the book of Isaiah, the divisions of the book used here focus on its literary shape rather than the history of its composition. With this approach, we recognize that the book of Isaiah is an expression of faith in the Holy One of Israel and in the future of Jerusalem, both of which have decisively shaped the faith of Jewish and Christian believers over the centuries. Jeremiah announces the unleashing of the wrath of God in the final years of the kingdom of Judah. It is a message that is particularly painful to the prophet and he cries out to God against the message he must deliver, meriting for himself the title of "the reluctant prophet." 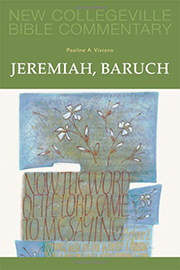 The intensity and passion of Jeremiah is expressed in the harshness of his message, but also in his longing that the people remember the devotion of their youth and return in faithful love to God. The unrelenting doom that occupies much of the book of Jeremiah is offset by God's refusal to totally abandon the people of Judah. This refusal to let go of the people is given its greatest expression in a New Covenant which lays the foundation for humanity's enduring relationship with God. The book of Baruch presents several ways for the people of Israel to deal with the destruction of their country and exile from their land. They must acknowledge their sinfulness, repent, and seek deliverance (1:1-3:8). They must recognize the importance of wisdom and that wisdom is accessible to them in obedience to the law which God has given them (3:9-4:4). Grief over their loss must include a longing for restoration and salvation (4:5-5:9) and under no circumstances must they return to the worship of other gods (6:1-71). 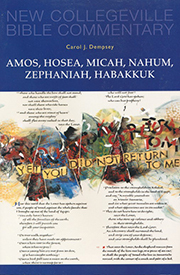 These six prophets proclaim powerful messages about judgment and the sovereignty of God. Amos challenges hypocrisy and injustice. Hosea's marriage symbolizes the covenant between God and Israel, moving from love to separation and then reunion. Micah, Nahum, and Zephaniah condemn corrupt leadership, injustice to the poor, and worship of false gods. Habakkuk reminds all to rely on God, who will punish the evil and defeat chaos. Flowing through all these calls to be a better people is the unfailing promise of a faithful and forgiving God. 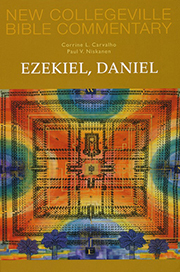 The books of Ezekiel and Daniel provide some of the most memorable stories and images of the Old Testament. Ezekiel, the wild prophet of the Babylonian exile, gave us images of the blazing wheeled throne of God leaving Jerusalem and the valley of dry bones that only God could restore to life. Struggling to prove his authenticity as a prophet, Ezekiel gives hard messages to the people of Israel that predict the fall of Jerusalem and punishment of all the nations. At the heart of the fiery speech and actions, however, is someone trying to explain how Jerusalem could fall and Israel could lose the Promised Land. In the end, there can be no mistake about his message of God's power and the cost of Israel's unfaithfulness. The prophet Daniel's message balances that of Ezekiel's, offering stories of God's faithfulness to those who keep the law. The dramatic stories of the three men in the fiery furnace and Daniel in the lion's den, as well as the account of Susanna and the elders, show God's saving power to those who are faithful. Daniel's message is one of hope for a people living under severe oppression during and after exile. Combining storytelling, prophecy, and apocalyptic, this book puts history in the context of God's larger plan for humanity. These books, from what are often called the twelve prophets, continue to recount the story of the return from Babylonian exile. They speak with immediacy and power to the generation that was responsible for writing down and organizing the Hebrew Scriptures and founding Judaism as a religion, not just an ethnic identity. Haggai demonstrates how not to be a prophet, as his wildly optimistic and date-specific predictions don't come true. Zechariah then tries to restore the reputation of the prophets after Jeremiah denounces them as liars. A central issue is the rebuilding of the temple—how can it replace the celebrated temple of Solomon? Should it be built before the people even have the resources to build their own houses? When did God leave the temple, and what will convince God to return? These postexilic prophets affirm the many traditions of the people of Judah and Israel, who are still reeling from exile, offering them hope and direction. They promise that God's justice will include punishment of their enemies and a full restoration of God's people. Every culture finds ways to pass along its wisdom from one generation to the next. Old Testament Wisdom literature—comprised of the books of Proverbs, Job, Ecclesiastes, Sirach, and Wisdom—raises the "big" questions for the people of Israel: Why do the righteous suffer? "Why do we die? What is the meaning of life? 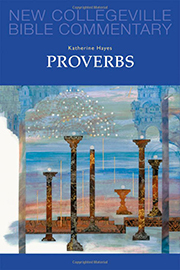 The book of Proverbs organizes memorable sayings that lead to insight and understanding about the world that can inform the way we live. Speaking universally of the human condition, it paints a poetic portrait of wisdom as it guides members of the community, especially the young, in how to get along in life. 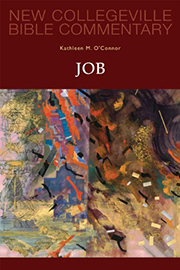 The book of Job is a vivid testimony to pain, a plea for justice, and a wrenching theological debate about suffering and its causes. Central to this debate are questions about the roles that God and humans play in causing human suffering and whether divine-human relationships can proceed in the midst of overwhelming anguish. Like a riddle, the text grasps readers' minds and emotions, inviting them to participate in Job's story and to work toward their own solution to the dilemmas of both Job and his friends. 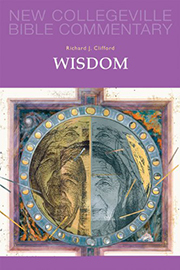 In the book of Wisdom, we find the literary voice of Solomon, the model king and seeker of wisdom sharing his meditations. Concepts from Greek philosophy are integrated into Jewish tradition to present new insights into how wisdom can be both a quality of God and a human characteristic. Three affirmations in this lyrical book especially resonate for modern Christians: the kingdom of God means that God's justice actually rules the world; God is Lord of the universe, not just the God of heaven; and God is engaged in human history and dwells with the human race. The book of Psalms plays a significant role in the public and private prayer of both the Jewish and Christian communities today, helping to shape the minds and hearts of modern believers. 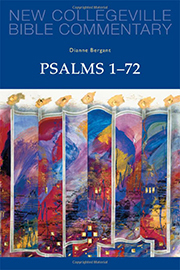 In two commentaries, one covering Psalms 1-72 and the other Psalms 73-150, Dianne Bergant examines the theological and historical circumstances from which the psalms originated. 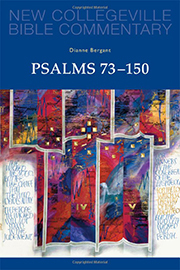 She reveals how the psalms were intended for instruction as well as prayer, and helps us experience their lyrical nature. In a fresh encounter with these poems of lament, hymns of praise, and prayers of thanksgiving, readers gain a new appreciation for these ancient texts, remembering that God—who dwells with us still—is "gracious and merciful, slow to anger and abounding in mercy" (Pss 145:8). 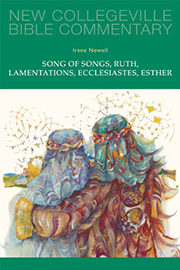 Irene Nowell's lively and thoughtful exploration of these poetic and powerful books promises to ignite appreciation and understanding in the hearts and minds of readers. The five books abound with vivid stories of faith. The Song of Songs, dedicated to Solomon, celebrates the wonder of human love. The book of Ruth, a masterpiece of storytelling, tells of two valiant women who move from emptiness to fullness, desolation to redemption. Lamentations, telling of the destruction of Jerusalem, recognizes that the Lord has struck and that only the Lord can heal. Ecclesiastes teaches the futility of vanity and storing up riches. The book of Esther tells the story of a Jewish woman and her uncle who, by their courage and wit, deliver the Jews from threatened genocide. Gathered together and artfully explored, this volume offers readers a wealth of information to inspire deeper understanding of the human journey and God's presence in the lives of those who trust in him. 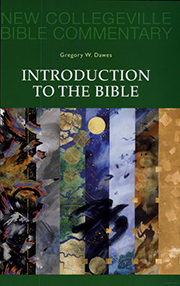 To rescue Bible readers and students from turning their initial enthusiasm into boredom, Gregory Dawes gives us this Introduction to the Bible, the indispensable prologue to the entire series of theNew Collegeville Bible Commentary. 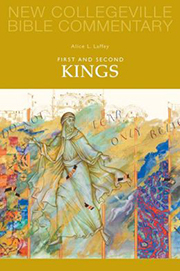 Dividing the contents into two parts, the author first describes how the Old and New Testaments came to be put together, and then explores how their stories have been interpreted over the centuries. 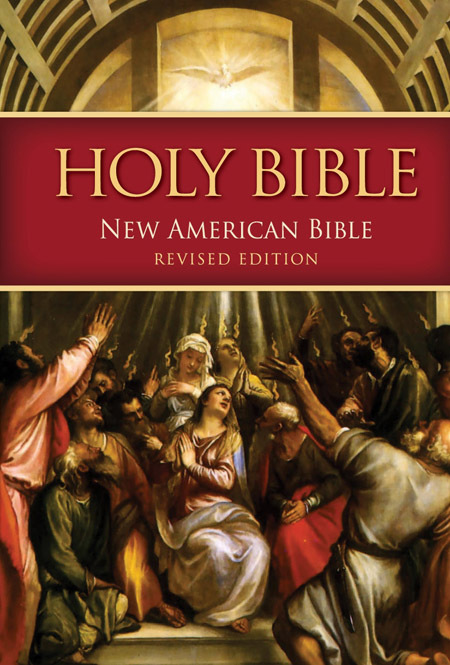 In the words of Dawes, this very broad overview of a very complex history offers the general reader a helpful framework within which to begin to understand the Bible. The author writes clearly, frequently seasoning his explanations with crisp examples. 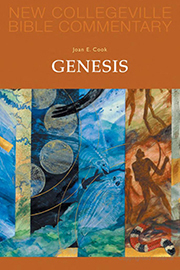 This book anchors individual and group Bible study on the solid foundation of basic biblical vocabulary and concepts. In the ongoing debate over the when and how our universe began, Genesis chooses to answer the theological question, "Who set in motion the beginning of the heavens and the earth?" Once that question is answered by vivid and memorable stories, the focus moves to ancestral stories that identify the roots and early branches of the Jewish family tree. This same tree grows in Christian settings as the matriarchs and patriarchs of Genesis appear over and again in New Testament writings. So resounding is its message that echoes of the Exodus are heard throughout the Old and New Testaments and the present. Exodus names and terms permeate our biblical and liturgical vocabularies: Pharaoh, Moses, Aaron, burning bush, "I AM," plagues, Passover, manna, Ten Commandments, forty days and forty nights, Ark of the Covenant. The Exodus experience, indeed, is central to both Jewish and Christian traditions. 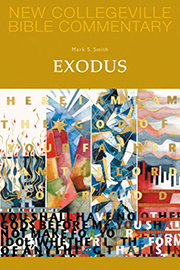 Exodus is, as Mark Smith reminds us, not only an ancient text but also "today's story, calling readers to work against oppression and to participate in a covenant relationship with one another and God." With Smith as their experienced guide, readers are able to march through this basic book of the Bible with textual difficulties solved and stacked up like a wall to their right and left, just as the Israelites "marched on dry land through the midst of the sea with the water like a wall to their right and to their left" (14:29). Undoubtedly, when finished, readers will be closer to the Promised Land than when they started. What are we as contemporary readers to make of such a strange book as Leviticus? How can we possibly relate to the kosher laws of clean and unclean foods? Who would want to dine on camel, order eagle or stork, and munch on grasshoppers and crickets? 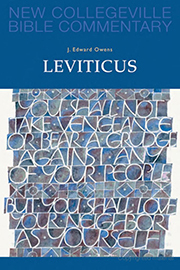 In this informative and inspiring commentary, J. Edward Owens shows us that behind the seemingly antiquated rituals of Leviticus, there is one theme that permeates throughout: "Sanctify yourselves and be holy; for I, the LORD, your God, am holy." In addition, Owens frequently makes connections between Leviticus and the New Testament. Just as Mary, Jesus, and the apostles observed many of the rules of Leviticus, so too are they relevant for us today. Leviticus can help us as we seek to renew the reverence and wonder in our worship and work—and thereby grow in the sanctity and holiness of God. 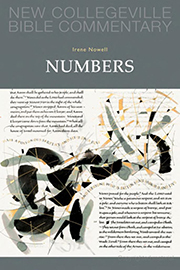 Irene Nowell admits that the book of Numbers "rarely makes the top ten list of favorite biblical books." But through her insightful interpretations and practical reflections, readers will gain a new and positive appreciation of the text. With Nowell, readers will relish the harassment and humor of the prophet Balaam and his talking donkey in chapters 22–24. We too are blessed by this delightful and ingenious God who communicates through a loquacious animal. This same God lives and moves with us, meets our needs as we wander through our personal and communal wilderness, defends us against the enemies of our sinfulness better than we can ever do in our weakness and fickleness, and eventually brings us to our promised place of glory. And God wants all of us to "be in that number." The Gospel of Matthew carries important lessons on the formation of community and of Jesus as authoritative Teacher--lessons that helped the early Matthean population relate to both the Jewish and Christian communities of which they were composed. 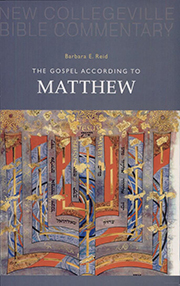 The Gospel According to Matthew provides Gospel text (New American Bible translation) along with Barbara E. Reid's commentary, to aid in the interpretation and use of this Gospel today. As Reid demonstrates, this Gospel continues to bring vision and hope to Christians throughout the ages. Reid stresses the importance of the Gospel of Matthew as the first book in the New Testament, possibly the first written Gospel, and the one most often used in the early church. 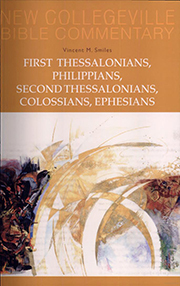 Providing both the text and commentary, Reid addresses important questions such as the author's identity and sources, setting and Gospel translation. The absence of stories of Jesus' birth and infancy, a minimum of Jesus' parables and a resurrection scene without sight or sound of the risen Jesus have tempted readers to shortchange Mark's Gospel. Thanks to the insightful analysis and inspiring reflections of Marie Noonan Sabin, anyone studying this premier Gospel with her guidance will recognize the genius of the original author. 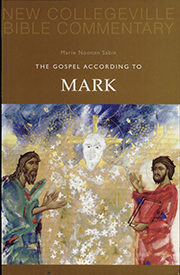 Sabin asserts that Mark's Gospel is not an eyewitness account or a work of biography or history. She writes, "What Mark gives us is far richer. He interprets Jesus in the light of the Hebrew Bible, showing Jesus to be not only a teacher of Wisdom but Wisdom itself, calling his followers to an unconventional wisdom, a way of living (and a way of dying) that he himself exemplifies." Luke continues to challenge our lives. Focusing on Jesus and his earthly ministry among the early church, Michael, F. Patella, OSB, opens the Gospel of Luke to the 21st-century reader. Patella presents literary, textual, and historical criticism in a readable manner to give readers a solid background for the Lukan Gospel. 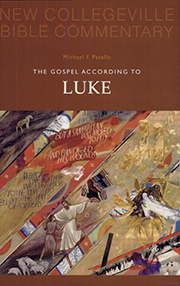 A brief introduction informs reader of Luke's literary technique, Luke as an evangelist, and other historical data. 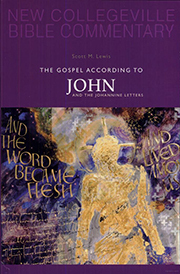 Thought-provoking and understandable, Scott M. Lewis, SJ, breaks the Gospel of John down into manageable sections with commentary vital to new and returning readers. Using themes from John's prologue to provide a focus, Lewis encourages his readers to question and ponder, rather than gloss over, this deceptively simple text. 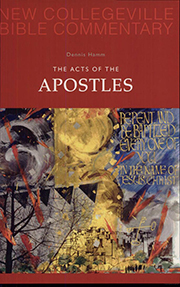 Dennis Hamm stresses the unity between the Acts of Apostles and the Gospel of Luke. His section-by-section commentary (along with New American Bible translation), based on the best of recent scholarship, will appeal to teachers, preachers and Bible study groups with its non-technical, yet scholarly style. Hamm helps visualize Christianity's growth from Jewish roots and the Church as continuation of God's covenant with Israel. Paying close attention to the use of the Old Testament. Hamm demonstrates how the Acts of the Apostles--first addressed to the early Christian community--speaks to our generation today. 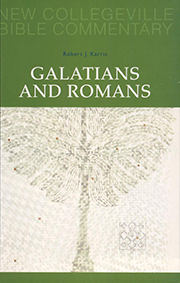 In his thorough, yet concise commentary on Galatians and Romans, Robert Karris, O.F.M. 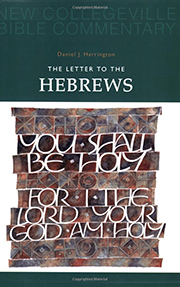 encourages his readers to take a head on approach to reading and interpreting the biblical text. He discusses form and purpose, message, and basic outline to help readers understand Galatians and Romans. 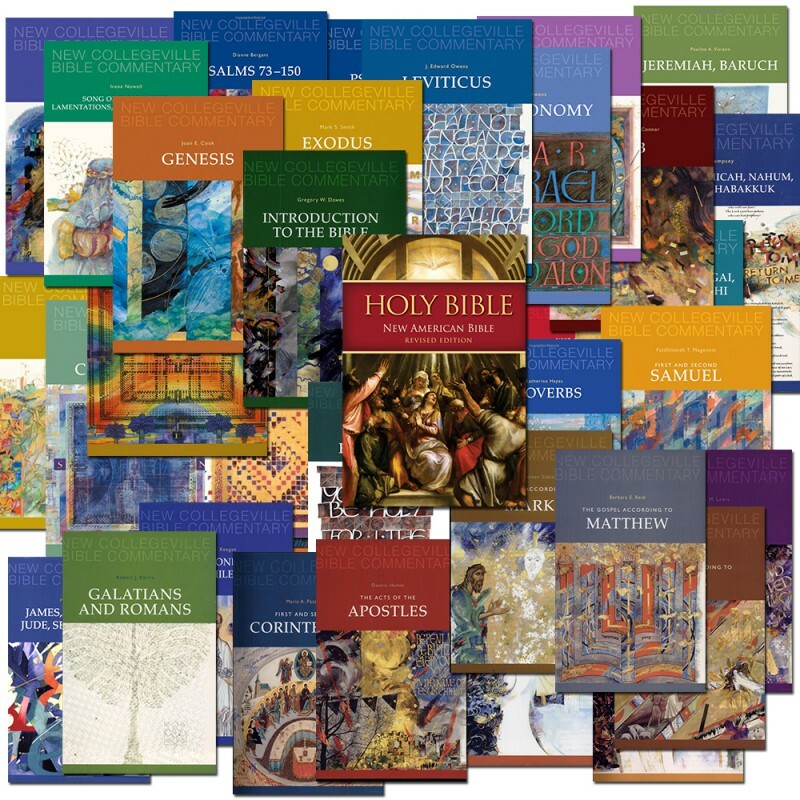 With his section-by-section commentary, Karris offers readers of all backgrounds further opportunity to study and reflect on the books of Galatians and Romans. What was originally part of an ongoing dialogue between Paul and the community at Corinth has become vital in today's Christian worship. Maria A. Pascuzzi, CSJ, helps us look at the Corinthian community through Paul's viewpoint, highlighting the struggles and issues of the Corinthian society. Pascuzzi highlights how Paul's attempt to reform this early society can be used to refocus the Christian community today-a community that faces similar struggles. 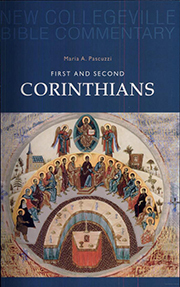 Pascuzzi gives the background of Corinth, its Greek and Roman inhabitants, the development of the Christian community, and the importance of Corinth's location to Paul's ministry. Vincent M. Smiles provides a fresh look at the early Church and the faith with which they approached their dynamic, diverse community. With a brief introduction to each letter, Smiles brings to light issues such as authorship, dating, and historical situation. 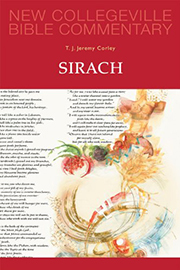 Smiles focuses on similarities and contrasts-such as eschatology, ecclesiology and the status of women--within these diverse, yet unified letters. A reading of these letters as "partners in a conversation" provides both an understanding and inspiration for today's Christian society: inspiration to meet our challenges in faith with the same creativity as did the early Church. With an understandable, yet comprehensive manner, this commentary will appeal to those interested in the changing early Church and its ancient wisdom. First and Second Timothy and Titus are designated Pastoral Letters because they deal with leadership and organizational issues of the early Christian community. Probably written after the death of Paul, they nevertheless express what Paul himself would have and could have written to community leaders. Second Timothy gives the greatest amount of biographical material we have about Paul. The Letter to Philemon, a miniature but authentic Pauline jewel, is a masterpiece of persuasion regarding a slave’s freedom. 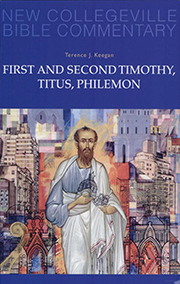 Terence J. Keegan’s perceptive commentaries on these precious remnants of first century Christianity provide information and insight regarding the gradual growth of the church. There are pertinent lessons here for today’s shepherds and their flocks. Who would not relish the opportunity to read two-thousand-year-old letters? These four of the seven "catholic letters" are addressed not to any specific church, as are Paul's epistles, but to the church in general. Giving us valuable insights into early Christianity, they insist on the need to join good works with faith, present Jesus' sufferings as the model for enduring persecution and warn against intruders intent on undermining traditional faith and morals. Far from being mere exercises in nostalgia for the "good ol' days," the letters offer principles that have not lost their value for the Church of the third millennium. Patrick Hartin's clarity and conciseness update the Church's earliest struggles to remain faithful to the spirit of Jesus Christ. These are letters for us today, too. When is a letter not a letter? When it is the Letter to the Hebrews. Daniel J. Harrington describes this text as "the greatest Christian sermon ever preached or written" and its author as "the patron saint of preachers." The basic theological point of the sermon is that Christ is both the perfect sacrifice for sins and the priest who offers himself as a sacrifice. The anonymous author of this work addresses Jewish Christians who had embraced Christianity with enthusiasm but were becoming discouraged and falling away in the face of suffering. 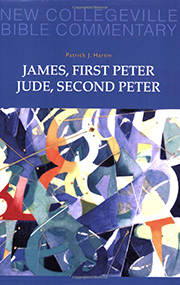 The biblical text and Harrington's uncomplicated commentary are ideal components for individual and group study. Reading and reflection will produce a renewed appreciation of the saving work of Jesus. Full of awesome and gruesome scenes that seem to provoke more fear than faith, the Book of Revelation is often read as a roadmap through the doom and gloom of the end time. Correctly understood, however, this grand finale of the New Testament is a loud and clear call to conversion as well as a message of hope and consolation for Christians of every age. Catherine Cory carefully explains the variety of visions that unfold in kaleidoscopic fashion throughout the book. Scenes from the Old Testament form collages that convey the central theme; namely, that God is in control and evil is being conquered. The breathtaking conclusion resounds with God's promise, "Behold, I make all things new." 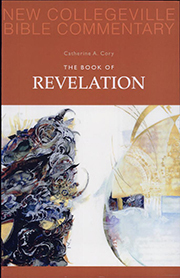 Cory's lucid style reveals the true message of the Book of Revelation.